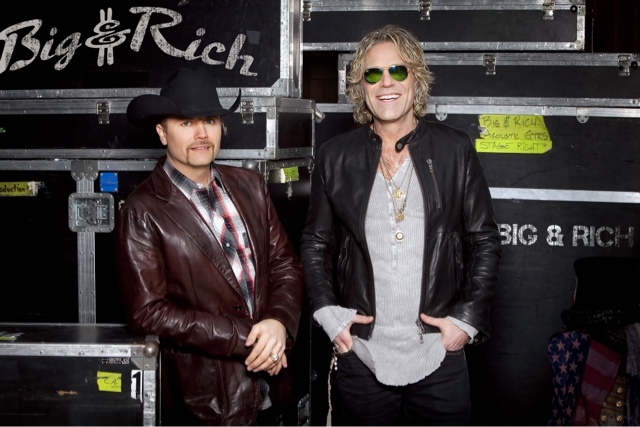 NASHVILLE, Tenn. (December 11, 2015) – Big & Rich, Aaron Lewis andLOCASH join a robust list of performers for the IntelliCentrics Outdoor Concert Series and NHL Fan Fair™ presented by Bridgestone during the 2016 Honda NHL®All-Star festivities in Nashville, January 28-31. The IntelliCentrics Outdoor Concert Series, as part of Bridgestone Winter Park, is free to the general public. Fans can look forward to shows from Big & Rich,Aaron Lewis, Lee Brice, Chris Young, Dierks Bentley, Kelsea Ballerini, Eli Young Band, John Hiatt, and Tara Thompson on the Honda Stage. Throughout the month of December and January, a wide variety of additional programming will be available, including public skating at the IntelliCentrics Ice Rink. More information on Bridgestone Winter Park programming can be found online atNashvillePredators.com/WinterPark. Additional acts, including those performing at the 2016 Honda NHL® All-Star Skills Competition on Saturday, Jan. 30 and 2016 Honda NHL® All-Star Game in Bridgestone Arena on Sunday, Jan. 31, will be announced at a later date. Tickets to the 2016 NHL Fan Fair™ presented by Bridgestone are available now through the Bridgestone Arena box office and all Ticketmaster outlets. Tickets are $20 for adults and $15 for children between the ages of 3 and 12, seniors, and college students or military personnel with a valid ID. Children under the age of 3 will be admitted for free. For full ticket information and the latest 2016 NHL Fan Fair™ presented by Bridgestone news, fans should visit NHL.com/FanFair. VIP hospitality for Bridgestone Winter Park and the IntelliCentrics Outdoor Concert Series is available through local support packages. More information can be found online atNashvilleSports.com/AllStar. A tentative daily schedule of the initial talent lineup is available at nhl.com/fanfair. “The 2016 Honda NHL All-Star festivities will be a showcase of talent on the ice -- featuring today's greatest NHL players-- and off the ice, starring some of the greatest talent Nashville has to offer," said Don Renzulli, NHL Executive Vice President of Events. "Fans can expect an authentic celebration of hockey in Music City with live performances at NHL Fan Fair™ presented by Bridgestone, the Honda NHL®All-Star Skills Competition, and at the Honda NHL® All-Star Game." I bought tickets for this event here https://ticketcrab.com/sports-tickets is very convenient and fast it did. I got a lot of impressions. I advise everyone to attend the finals of the competition, it will always be memorable.